Practice #5: How to Reclaim Your Life and Strengthen Your Marriage. Finding your true nature can be a daunting process. It requires us to look beyond the roles we inhabit and understand the self not attached to definitions, labels, and responsibilities. Our true nature is the voice of our soul; the voice of the self beyond the ego, beyond the accomplishments, beyond the surface. And then there are the roles others give us: caretaker, comedian, the serious one, the “life of the party”, the shy one, the friendly or rude one… the list is endless. Roles can define us and fool us into thinking that is WHO we are. But, have you ever wondered who you are beyond your roles? Who are you without the list of responsibilities and behaviors attached to the specific roles you inhabit? In marriage, roles are important to a certain extent. When couples clarify roles, they understand who does what and when. When couples have no clear roles, they often experience confusing, unclear, murky, and ambiguous interactions. However, the roles we inhabit in marriage can also be restrictive. If roles are the only way we understand ourselves and our partner, they may indicate that we are disconnected from our true nature; that we no longer are looking deeply and with curiosity at ourselves and our partner. Roles, applied and followed too rigidly, can stop us from growing. After my mother died and I first tried living independently at the age of 20, I struggled in knowing who I was. My only understanding of myself came from the roles my family gave me for the first 20 years of my life. And because my family was not always the healthiest, many of the roles I inhabited were negative and rigidly applied. I was labeled the “selfish one”, or the one who “stressed-out” my mother, or the shy one, the one who couldn’t do anything on her own. And then when I married at the age of 24, I unconsciously carried these roles into my marriage and added even more to the list. I became the wife, the mother, the one who questioned the church, the one who questioned and rebelled against my husband. I was well into my thirties before I realized that all these roles were not really who I was deep in my core. And because I was disconnected from my core self, I felt restricted, misunderstood, and deeply unhappy. The good news for me, at that time was, the pain of this disconnection from myself, encouraged and motivated me to get to know myself. My true self… not the self others defined for me. Not the self society told me I was. Not the self attached to roles, but the one to be found beyond the roles. And what did I find? I found a woman who was stronger than she knew. One whose soul was fed by spending time in nature. One who loved to live in tune with and celebrate the seasons. One who loved being connected to and expressing the energy of the deep feminine. One who was quiet and longed to be allowed space to reflect, write and be. One who loved to observe others, and find joy in small gatherings of friends or family, not huge crowds. One who no longer wanted to live restricted by other people’s definitions of her. One who was ready to be in the world as a strong woman connected to her true nature and most authentic self. One who would no longer allow patriarchy and the church define her. And during this work of looking beyond my roles and responsibilities, I found my true nature for the first time. It was transforming, freeing and life-changing. From this point forward, I vowed to never lose that connection again. Unfortunately for me, my marriage could not support these changes. It was not strong enough to allow for my growth. It was not strong enough to make room for who I was beyond the definitions of others. It only functioned if I stayed small and followed other people’s expectations. And I no longer was willing to do that. This experience became the inspiration for my work as a couples therapist. Looking back now, it was the seed for the work I do today: helping each partner claim their true self while simultaneously leading couples to create a thriving, vibrant and loving relationship. One of my biggest joys in my work is to help partners learn how to celebrate and support the growth of each other while creating a strong, intimate, and loving bond together. I truly want couples to stay together as they grow. I want couples to enter this process of finding their true nature, and strengthening their marriage. I want couples to strengthen their love and respect for each other in the process. 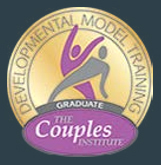 In my work, I am committed to helping couples learn how to take the deep dive to connect to their own heart and soul. To get to know and understand themselves. And then to express this true nature to their partner. As a couples therapist, I help each partner learn how to receive the other’s growth with joy and trust and peace, instead of fear and jealousy or responses that inhibit or say “no” to growth. Roles in and of themselves are not “wrong”. They bring clarity and eliminate confusion. But we must not become attached to our roles. We must not allow the roles to be the only way we know ourselves. You can start today to look within and find your true nature. What inspires me? Energizes me? Draws my attention? What helps me feel joy? Passion? Connection to myself and others? When do I feel most at ease? Most content? Most myself and at peace? Most fully engaged with life? 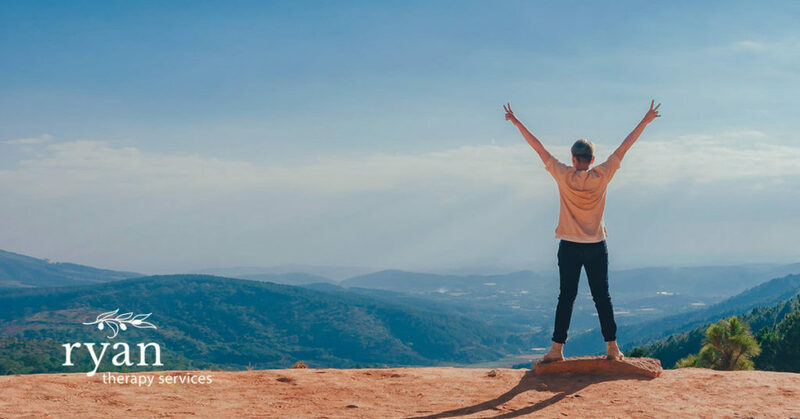 These questions can help you begin the process of finding yourself beyond your roles. They can help you connect more deeply with yourself and then with your partner. I encourage you to start today to do this work. I promise you, that you will find not only your authentic self, but that it will lead you to creating deep and true intimacy with your partner.